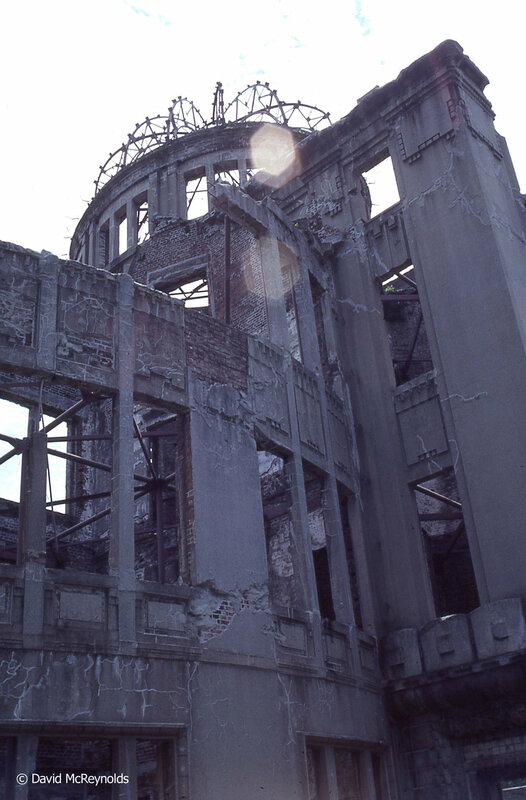 Atomic Bomb Dome, part of the Hiroshima Peace Memorial Park, location for annual gatherings to remember those killed on August 6, 1945, when the U.S. dropped the atomic bomb on Hiroshima. David was invited to participate in the memorial program many times. Marches bring thousands to the memorial each August. 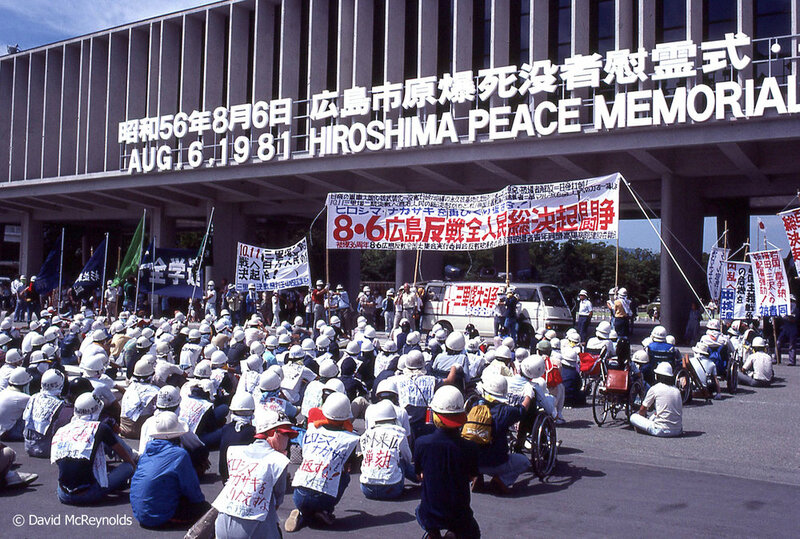 The Children's Peace Monument in Hiroshima honors Sadako Sasaki, who died at age 12 from leukemia, a result of the atomic bombing of Hiroshima. 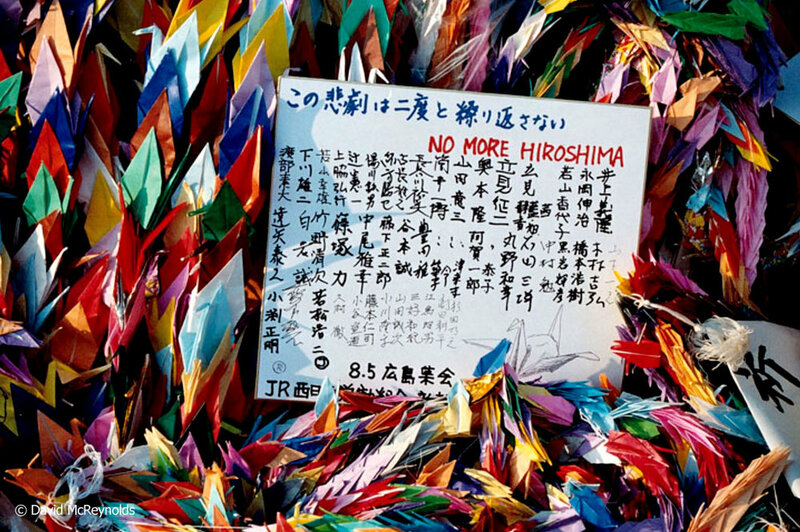 She wanted to fold 1,000 origami peace cranes before she died. Releasing peace doves at the ceremony, with the cry "Never Again." Revered Buddhist monk and author Nittatsu Fujii was a special guest at the 1981 ceremony. Lord Philip Noel-Baker (1889-1982) was a special guest at the 1981 commemoration ceremonies. He was awarded the Nobel Peace Prize in 1959 for his lifelong work for international peace and cooperation. 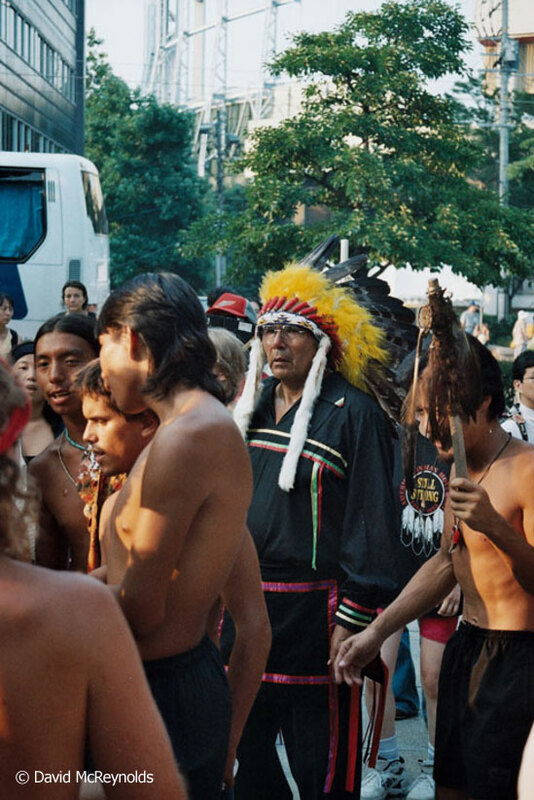 American Indian Movement (AIM) at the 1995 commemoration ceremonies in Hiroshima. 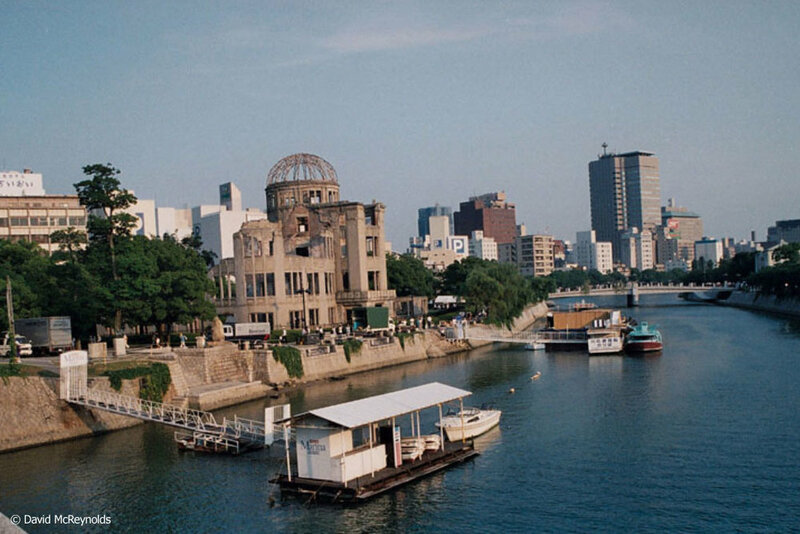 The Peace Dome and the city of Hiroshima, 1995.